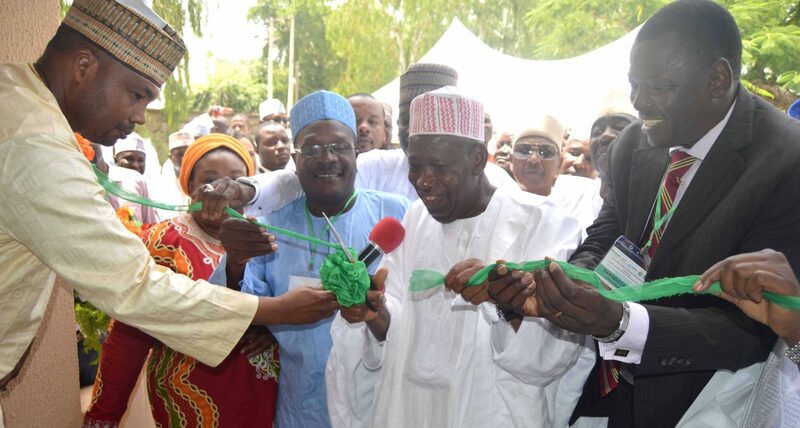 The opening of a new office complex in Kano, Nigeria, was acknowledged by local leaders as a demonstration of ICRISAT’s commitment towards agricultural research and development in semi-arid West and Central Africa. The new building was inaugurated by Dr Abdullahi Umar Ganduje, Executive Governor Kano State. “This new office complex will strengthen the existing collaboration between the national agricultural research institutes and their international counterparts, and ensure that the current challenges to sustainable agricultural production are overcome,” said Chief Audu Ogbeh, Minister of Agriculture. 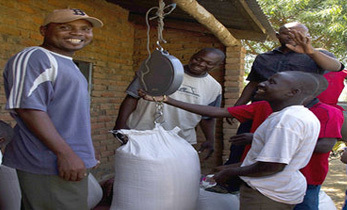 Through the Semi-Arid Food Grain Research and Development/United States Agency for International Development (SAFGRAD/USAID) project in 1976, several sorghum and pearl millet varieties were developed which were adopted by farmers. 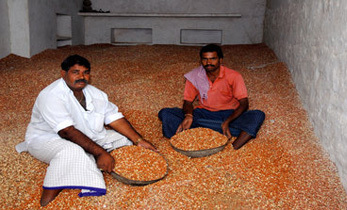 In 1988 ICRISAT set up a Research Station at Bagauda near Kano to pursue a research program focused on the improvement of sorghum-based cropping systems. Two sorghum varieties – ICSV 400 and ICSV 111, and two sorghum hybrids – ICSH 89002 NG and ICSH 89009 NG were released in collaboration with the Institute of Agricultural Research (IAR), Zaria. 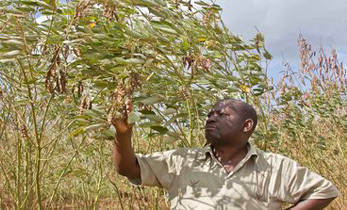 In 1992 ICRISAT and IAR embarked on a large hybridization program to develop early maturing groundnut varieties resistant to the rosette disease. 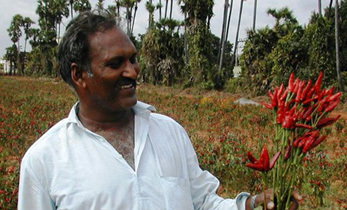 The outcome of this work was the release of several rosette-resistant groundnut varieties. In 2008, ICRISAT and the Agricultural Research Council of Nigeria (ARCN) commenced another collaboration on development and implementation of joint research programs in Nigeria. ICRISAT in collaboration with ARCN, IAR and the Lake Chad Research Institute (LCRI) has since been working in Nigeria on sorghum, millet and groundnut. 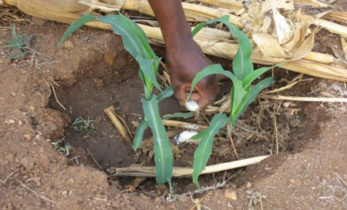 Mutual cooperation and collaboration has been established in areas such as exchange of germplasm, breeding materials, scientific information and techniques, and capacity development. Commercialization and industrial utilization through public-private partnerships. 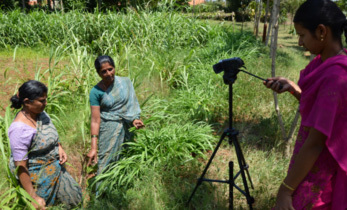 For the past many years, ICRISAT has been operating from a temporary building provided by IAR. The new office is located on the same premises. At the inaugural ceremony, Dr Ramadjita Tabo, Research Program Director, West and Central Africa and Country Representative Mali, ICRISAT, thanked the Government of the Federal Republic of Nigeria for its support. The inauguration held on 27 September was attended by national partners and representatives of donor agencies, ICRISAT staff Dr Anthony Whitbread, Research Program Director, Innovation Systems for the Drylands; Dr Hakeem Ajeigbe, Country Representative Nigeria and Principal Scientist, Agronomy; Dr Michael Boboh Vabi, Country Project Manager and head of Office Construction Committee; staff of ICRISAT-Nigeria and International Institute of Tropical Agriculture (IITA).